I seem to be going through a hell of a lot of products recently and June seems to have been especially good for finishing things off. As per usual I have split the items into different categories to make it easier to digest! I’ll get into the post pretty sharpish today as there is a lot to go through! Grab a drink and sit tight, you’re in it for the long haul! Lancome Hypnose Mascara – One of my favourite ever mascaras that makes my eyelashes look effortlessly fluttery! At 20 odd pounds, it’s not cheap, but I have a feeling I will be repurchasing this in the future! Smashbox Photo Finish Primer Sample – I’ve got to be honest and say that this didn’t really do much for me. I liked the feel of applying it but that is literally it. It didn’t make my makeup last longer, look smoother or apply better in the slightest. Would I purchase the full size? No, I much prefer the Body Shop Primer! 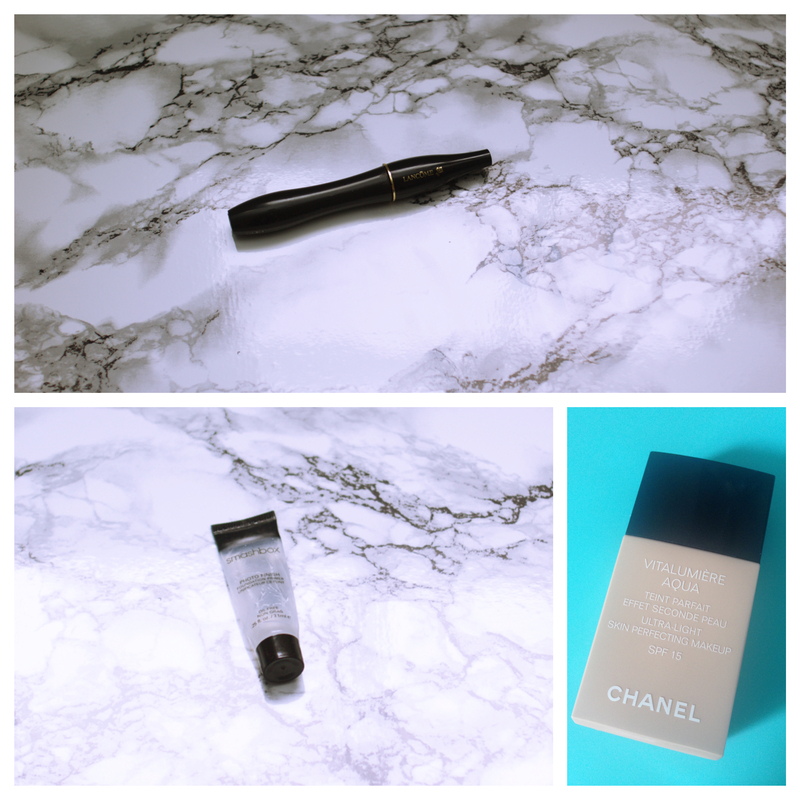 Chanel Vitalumiere Aqua Foundation – Perhaps my favourite foundation, it is so light, makes my skin look fresh and awake and is perfect for daytime. It never looks cakey, doesn’t cling to dry patches and lasts forever! Repurchase? Already have! Touch of Silver Twice a Week Brightening Shampoo – I have used this for years and years as it helps to take the brassiness out of my highlighted blonde hair. I prefer the ashy blonde look so this is perfect to help me achieve that. It is also really cheap! I will definitely be repurchasing again! L’oread Ever Riche Intense Masque – This is a really good alternative to a Kerastase masque. It is sulphate free and makes my hair feel so smooth! I was just finishing this off to make some room in our bathroom cupboard but I have actually realised quite how much I like it! I may repurchase this in the future but not yet as I have my Kerastase one! Clarins Hydraquench Intensive Serum – I have used this for a long time and I really enjoy using it. However, it is quite pricey so I have a Body Shop one to try now that this is finished. Repurchase? If I like it more than the Body Shop alternative then yes! 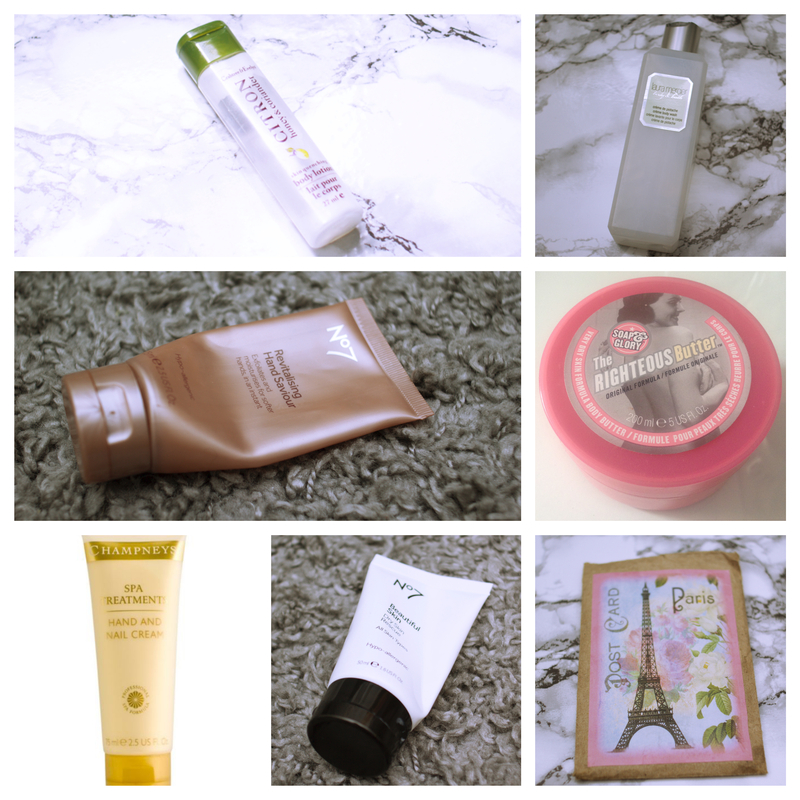 Liz Earle Cleanse & Polish Travel Size – I love using this and the scent is incredible! It takes my makeup off so quickly and just feels so spa like! I already have a full sized tube of this so that will keep me going for quite a while! 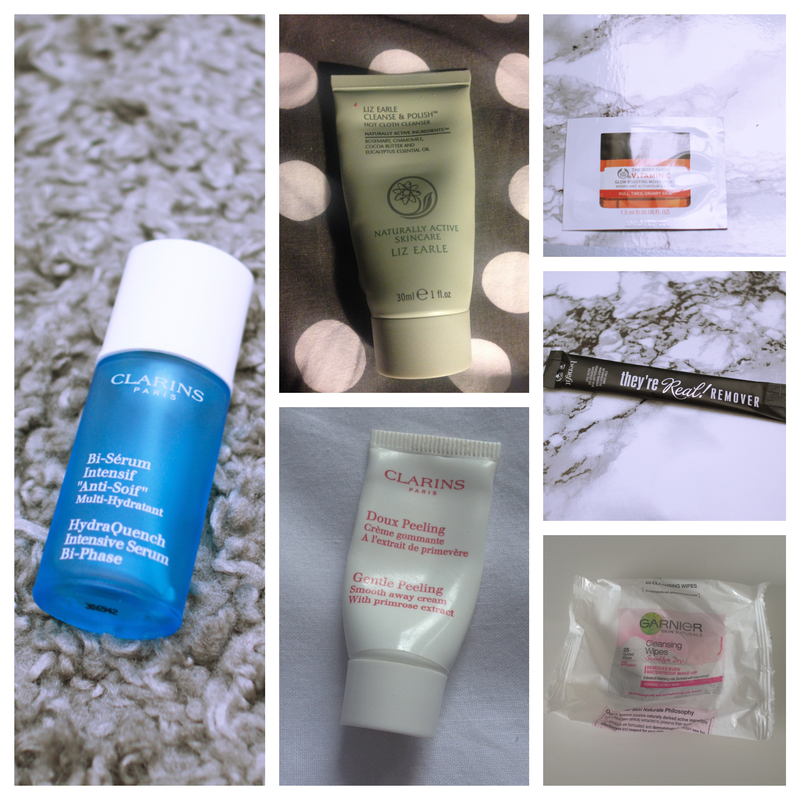 Clarins Gentle Peeling Away Cream Sample – This is meant to be an alternative for an exfoliator however, I found it so messy and a bit of a faff to be honest! You spread it on your face, let it dry and then rub it off, removing dead skin in the process. My skin felt soft afterwards but definitely not worth the hassle! This won’t be purchased in full size! Body Shop Vitamin C Moisturiser Sample – I’ve been through two of these samples and I really enjoyed how light and refreshing this was. It made my skin look a little brighter and more awake and I did really like using the two samples. I may purchase this in full in the future once I have used some of my other moisturisers up. Body Shop They’re Real Remover Sample – I have to say this has got to be one of the worst products I have used in a very long time! It didn’t remove my eye makeup, it made my vision so cloudy I couldn’t even see what I was doing and I felt like I had to tug at my eyes more than normal as it wasn’t removing my makeup. I have another one of these but I don’t even want to use it as it was so bad! Definitely not purchasing the full size! Garnier Goodbye Dry Cleansing Wipes – I quite liked these at the start but they did dry out really quickly. To be honest, I hate makeup wipes full stop now apart from the No7 ones and therefore I will not buy these again. I hate how they feel like your dragging your skin! Crabtree & Evelyn Honey & Coriander Body Lotion – This was so light and moisturising and made my skin very very soft! The scent was light and refreshing too and I did thoroughly enjoy using it. I would definitely consider buying the full size in the future, particularly during summer when I moisturise my body more often. Laura Mercier Creme De Pistache Body Wash – Despite being pricey, this smells divine and doubles up as a great bubble bath too. This has lasted me quite a while as the formulation is so thick and luxurious so it makes the price more worthwhile. I would perhaps repurchase it as a treat but I do think the Body Shop Shower Gels are better value for money and smell lovely too! No7 Revitalising Hand Saviour – This is a hand scrub that aims to make your hands smoother and softer. It really does that! However, I don’t have particularly dry hands so I feel like I’m not the target market for this product, although I did love how soft it made my hands feel. Repurchase? Possibly. Soap & Glory The Righteous Butter – I may be alone with this view, but I find this way too heavy on my skin. Body butters in general just seem to sit on my skin rather than soak in and seem to be a lot of hassle. I wouldn’t repurchase this as I would prefer a lotion formula instead. Champneys Spa Treatment Hand & Nail Cream – This made my hands so soft and you get a whole 75ml in a tube which is really good value for money in my eyes! However, I won’t repurchase as I don’t love it as much as my L’Occitane Amande hand cream which is definitely Holy Grail material! No7 Beautiful Skin Dry Skin Rescue – I have a sneaky suspicion I used this product wrong, I suspect it would be better targeting specific areas like elbows or knees. I found it way too thick and heavy for my skin and kind of left a bit of a film on my skin. This won’t be bought again but I suspect it would be fab for people with really dry patches! Post Card Paris Scented Bath Milk – One of the lovely girls that I tutored this year bought me this lovely bath milk as part of my thank you gift. I went in with low expectation and actually, really enjoyed having this in my bath! It made my skin so soft and the fragrance was light yet relaxing and made me feel really ready for bed. I think I would actually buy this again as it was a lovely evening treat! Sure Crystal Invisible Deodorant – I’ve got to say, I’m really not impressed with these compressed deodorant cans, they do not last anywhere near as long as normal spray cans. In the summer, I do prefer sprays, so if I decide I don’t mind that a can only lasts me a few weeks, I will buy this again because it was effective and the scent was nice! Serge Luetens Fragrence Sample – I mentioned this in my ‘what’s in my handbag’ post and I have enjoyed using it. It is a unisex fragrance so it is a little more masculine than something I would normally buy, however I did like the smell of it and it didn’t give me a headache which is a bonus. I wouldn’t buy the full size though as it is quite pricey and I prefer more feminine fragrances. Chanel Chance Eau Vive Fragrance Sample – I LOVE this perfume! It is the only Chanel fragrance that I have loved and I would actually consider forking out the money to buy a full bottle! I have had lots of complements on this scent and I feel very special when I wear it. I do have other fragrances to use and that I love so the desire to purchase this will have to take a back seat for now! 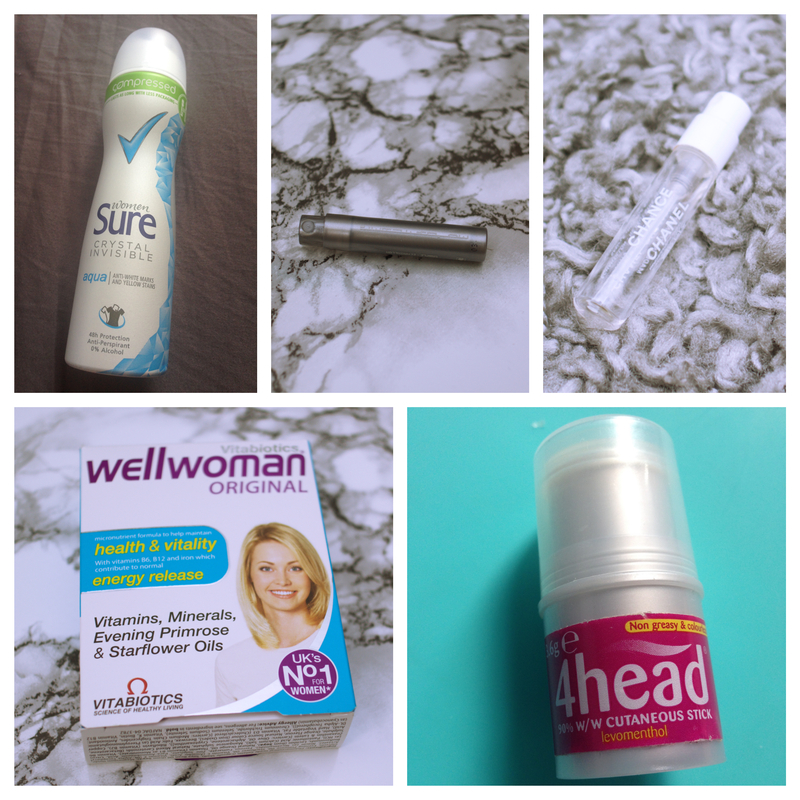 Vitabiotics Wellwoman Original – As I mentioned last month, I am taking supplements to try and increase my iron intake. Mum picked me these up from Boots on the 3 for 2 offer and to be honest, I won’t be repurchasing them. They are over priced in comparison to other alternatives and don’t seem to agree with me as they make me feel quite sick. I have one more box to go through and then that will be it for these I’m afraid. £1 bargain vitamins all the way! 4Head Stick – I honestly don’t go anywhere without one of these! I was always so sceptical, however, they do really improve my headaches! I get a lot of headaches around this time of the year through hay fever, and this has helped me out loads! I hate taking painkillers every day so this has saved the day. Repurchase? Already have done! Phew! Well done if you’ve made it to the end! Virtual medal of achievement coming your way! I wonder if I will have this many empties next month?! Damn girl. That’s a lot of empties. Good job! I really need to try the Lancome mascara! 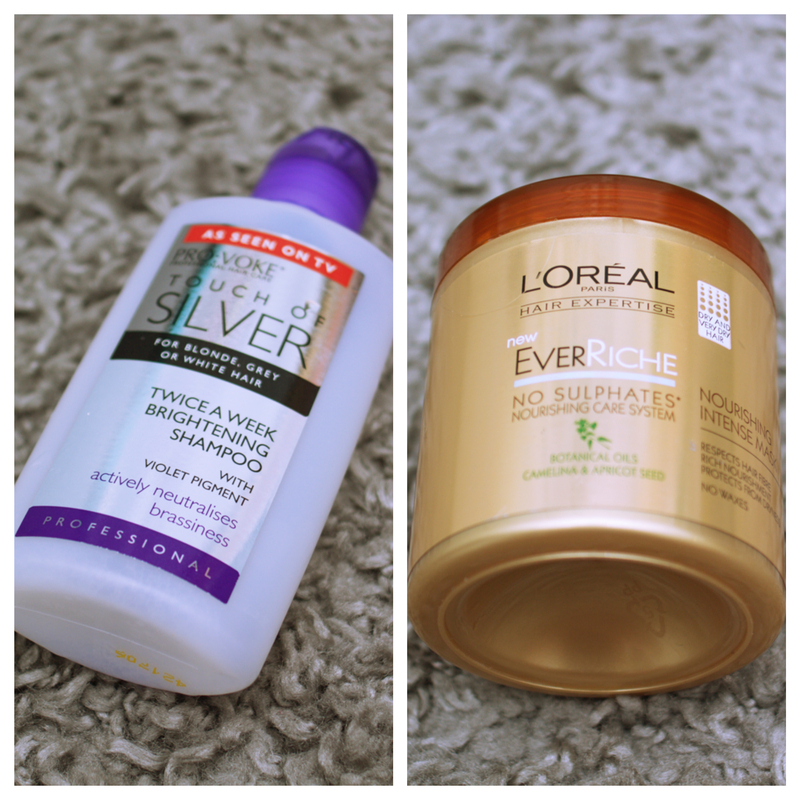 Like the sound of the L’oreal hair mask too! My hair has been so dry lately, I really need a good mask so I’ll defiantly need to give it a try! Fab post! Love your blog, I nominated you for the Sisterhood of the World Bloggers Award! You used up SO many items – great job! Crabtree & Evelyn Honey & Coriander Body Lotion sounds DIVINE! I need to go smell this! I received one of those Body Shop Vitamin C Moisturiser Samples – have yet to try it. The scent was lovely in the store though. Soap & Glory The Righteous Butter is not my favourite either – it doesn’t seem to absorb into my skin. Never heard of 4Head sticks! I will have to find something like that here. Do you buy it from the pharmacy?